Here is a weird fact for you. 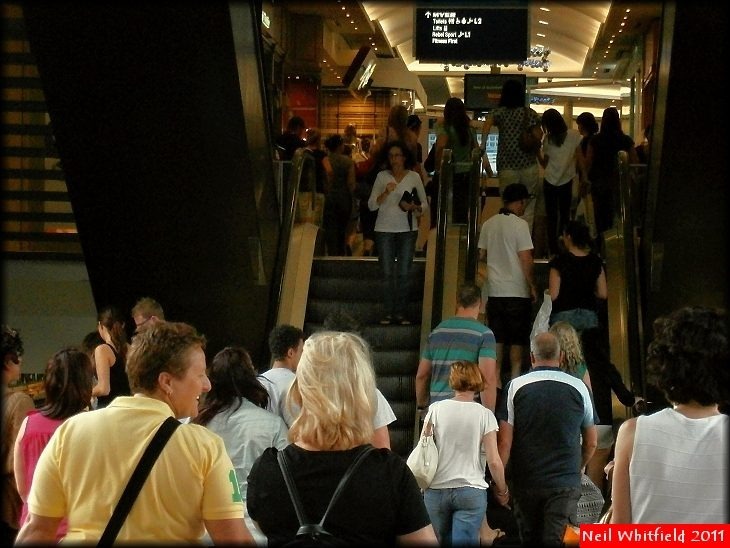 Shopping centres in Shellharbour and Kiama shopping are permitted to trade on Boxing Day because the State Government classifies them as “holiday destinations”. Centres elsewhere in the Illawarra are classified differently and did not trade yesterday, however a group of five Wollongong stakeholders are campaigning to a panel that is reviewing Boxing Day trading laws. Wollongong Central will open today (from 9am to 6pm), as will Westfield Warrawong (8am to 6pm) and Stockland Corrimal (10am to 4pm) and Westfield Figtree (8am to 6pm). Wollongong’s Crown Street Mall – deserted on Boxing Day but making up for it today. 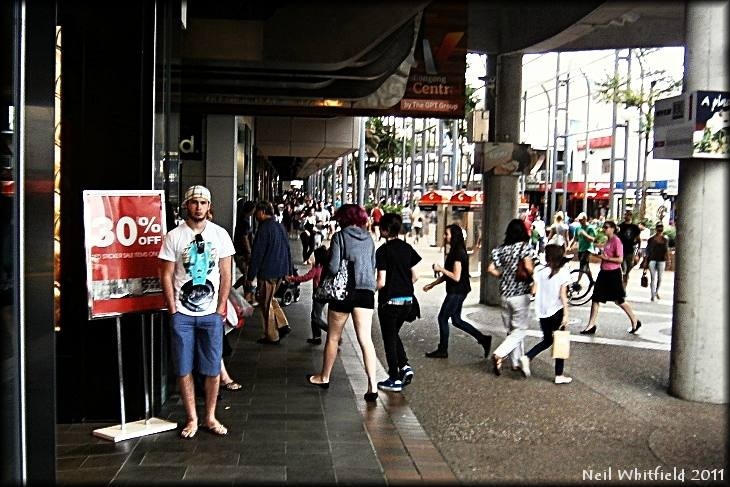 This entry was posted in architectural, local landmark, people, street shots, summer, Wollongong. Bookmark the permalink.